For about three months, I’ve been juggling a few works of poetry. 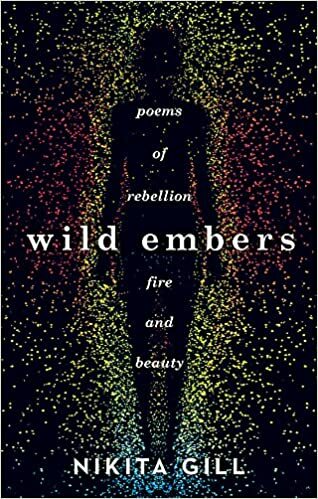 Night Sky with Exit Wounds by Ocean Vuong; Up Jump the Boogie by John Murillo; and most recently Wild Embers by Nikita Gill which I immediately took to. Now as you might guess, I didn’t finish any yet but I can already tell I’ll appreciate their final masterpieces. Each of the three represents, but not reduced to, a different pair of eyes to separate cultures. So with Night Sky we’ve got a Vietnamese-born migrant who writes of family, grief, war, and love with overwhelming cadence at times, however, at other times pretty vague (for poetry I dare say) that I can’t begin to guess what I’m supposed to take from it. Again, I’m not finished so this is all subject to change. I discovered him when I came across his poem ‘Someday I Will Love Ocean Vuong‘ on The Yorker and I was hooked on the flow of words from one cleverly crafted concept to the next, and more importantly, the gentle cry of the message on self-love. This is a review of a book a blogger friend of mine, who goes by DarkJade on WordPress, had written. depending really on how well you generally comprehend poetry. Don’t be fooled by its modest cover, what lies within its pages are words of a riptide of what seems to constitute almost every spectrum of emotion. Initially, I couldn’t understand what he was saying, what his words had meant. How and why Mr.Mahoney had strung them together the way he had. What were they trying to tell me? I had to put it down for some time to clear my mind to properly grasp what I was reading.